The hall was in darkness, the stage dimly lit. Colonel Stodare, a study in black and white in his formal evening suit, a spare and austere figure with a pale, whittled face, held up one hand and waited. The murmurs amongst the audience soon died down. In a soft voice, so that his listeners had to crane to hear, he announced that this was his 200th performance at the Egyptian Hall. He gestured around the walls, which were carved with scrolled columns and decorated with hieroglyphics. In honour of the occasion, the Colonel went on, it seemed to him appropriate to invite into the Hall the greatest of the many mysteries of Egypt, the very symbol of that ancient land. Tonight, ladies and gentleman, he announced, his gentle voice rising almost to an invocation, we shall summon the Sphinx. As he snapped his fingers in the air, the stage was plunged momentarily into darkness. When the lights rose again, the audience saw, residing upon a small table, the disembodied face of that enigmatic being, guardian of the Pyramids, impassive oracle, dangerous enchanter, the Sphinx. There were incredulous gasps. Even the cynical, who had come to the performance merely for a lively diversion, were shocked. Before their gaze the living Sphinx appeared, its forehead and cheeks draped in the headdress of the divine Pharaohs. It was contained in a square casket: yet the table where it rested was hollow beneath: all of its elegant curved legs could be seen. Below the head, there was nothing. Was it simply some cunning mask or sculpture? And then the Sphinx spoke. The eyes glinted. The lips in the unearthly face moved. They uttered some lines of sibylline poetry, impressive and sonorous. But the audience barely attended to what it said. They were so completely astonished that the head had spoken that they seemed united in one vast indrawn breath, soon followed by an excited hubbub and bursts of applause. The lean form of Colonel Stodare retained his cool poise, with a slightly weary air, as if summoning the Sphinx was a matter of no great moment. He held up a hand once more and the consternation subsided a little. “We shall ask the Sphinx to share some of its secrets,” he said. And he proceeded to question the head that glimmered beside him on the table, just as if he were having a conversation with some worldly sage, some well-informed friend in his club. What he asked, and what were the answers, are alas not recorded. Then Colonel Stodare uttered a single incomprehensible word, which might have been some magical formula. And with that last word, he raised his arm impressively in a great sweeping arc. He stepped forward and closed the lid and sides of the casket. The lights flickered briefly once again. The box was opened: the head of the Sphinx had gone. The Colonel stooped with a quiet grace and placed his hand in the empty space where the Sphinx had been. He straightened and turned to the audience. “Ashes,” he murmured, and let fall from his fingers a few fragile flakes. As they drifted away, the Egyptian Hall erupted into a surge of acclaim such as it had never heard before. The dark and rather melancholy figure on the stage bowed his head. The Sphinx Illusion was performed at the Egyptian Hall for the first time on October 16th 1865. The summoner of the Sphinx himself remains a man of some mysteries. He was probably born Joseph Stoddart on 28 June, 1831 in Liverpool, although other origins, names and dates of birth have been proposed for him. “Colonel Stodare” was his stage name: he is not known to have held military rank, and he probably thought “Stodare” had a slightly more exotic and dignified air to it than his original name. He had toured provincial theatres, and published a handbook of magic in 1862. He gave his first performance at the Egyptian Hall in April, 1865, using some illusions of his own devising, and was soon one of the venue’s most popular attractions. 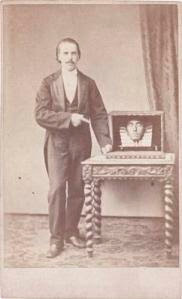 The Sphinx Illusion, considered his masterpiece, was not in fact his own invention. It had been developed by Thomas Tobin, a scientist and engineer who had also conjured up the Cabinet of Proteus, the Oracle of Delphi, and, most daring of all, the Palingenesia, in which a volunteer from the audience was dissected on stage and then returned whole. Colonel Stodare’s brief career was so successful that he was commanded to appear before Queen Victoria at Windsor Castle in the November of that year of the Sphinx. Alas, he was not to enjoy the fruits of his fame for very much longer. Always in delicate health, he died on 22 October, 1866 in London of consumption. He is buried at Highgate Cemetery. For a while his widow and brother carried on his act, with the aid of some of his apprentices and assistants. It is in the nature of stage performances that they are transitory and survive only as long as the memories of those that saw them. But Colonel Stodare’s Sphinx Illusion lived longer than most, for few who saw it forgot the effect of that strange head of myth speaking to them from out of a casket, uttering its omens and riddles. And it has passed into the history of magic as a major new illusion. What, you want to know how the Colonel did it? Well: "The conjurer demonstrates that things are not always what they seem. Therein lies his philosophy," the Colonel himself said. Suffice to say, that like many of the best magical tricks, what the Colonel achieved in summoning the Sphinx onto the stage, and tantalising our persistent quest for mystery, holds up a mirror to ourselves. Not so long ago it occurred to me to wonder when it was that the idea of telling fortunes using tea leaves first began in Britain, and when it became popular. I decided to begin a checklist of books on the subject. There are, in fact, quite a lot of them about now, and indeed the art has been elaborated to include residues from herbal infusions and tisanes. However, as I was more interested in the origins of the practice, I decided not to continue into these latter days, but rather to look at what was published earlier. The first reference I can find is to a chapter in a book ascribed to ‘Mother Bridget’, with the title of The Universal Dream Book, and a date supposed to be around 1816. Its full title continues, “to which is added, the art of fortune-telling by cards, or tea and coffee cups”. Now, I think it is quite possible that there were even earlier accounts of tea cup reading than this, for example in old almanacs, but for the time being this is the earliest I have identified. 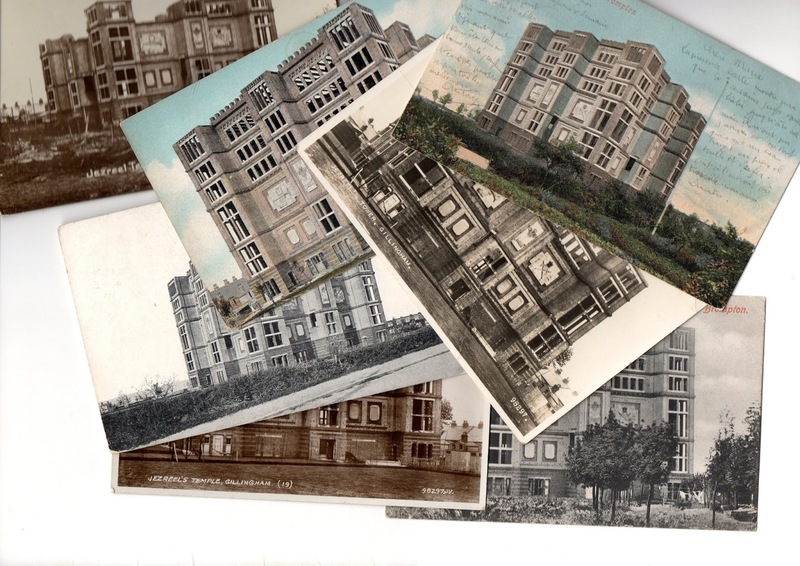 The first book devoted entirely to the subject, that I have noted so far, is an anonymous publication entitled Tea-Cup Reading: Your Fate in Your Tea-Cup, which the British Library dates to 1907. No publisher or place of publication is given. The first such title from a major publisher seems to be The Art of Fortune-Telling by Tea-Leaves by 'A Highland Seer', issued by Routledge in the UK and Dutton in the USA, circa 1917, a notable attribution, since tea cup reading does not often figure among the traditional accomplishments of Scottish prophets. The second decade of the 20th century begins to see more books on the art appear, and there is a distinct cluster in the 1920s. One of the most popular was by ‘Minetta’, possibly a house name, from the leading occult and astrological publisher, W. Foulsham. Her Tea Cup Fortune Telling: the signs illustrated and fully explained was issued in 1920 and regularly reprinted. It advises: "In the following pages you will find more than is usually known about this fascinating subject of cup tossing, as it is popularly called." The term “cup tossing” seems mysteriously not to have survived in general usage. Another popular title from this period was The Gypsy Queen Dream Book and Fortune Teller (undated, but circa 1921), ascribed to ‘Madame Juno’ and issued by Herbert Jenkins, usually a publisher of light romances and thrillers. It was very much the thing for women working in the fortune telling field to prefix their name, usually exotic, with the title ‘Madame’: astrological journals are full of advertisements under that kind of sobriquet (and provide an interesting field of study). This book has a brief chapter on ‘How to Tell Fortunes by Tea-Leaves, or Coffee-Grounds’. A copy of this title in my possession shows considerable signs of use. It is the “Third printing completing 19,500 copies.” The rose-madder coloured covers are marked with cup-rings and spherical stains, the spine head is frayed, and inside the front free endpaper also boasts a considerable brown ring-mark, perhaps suggestive of the tools of the trade. 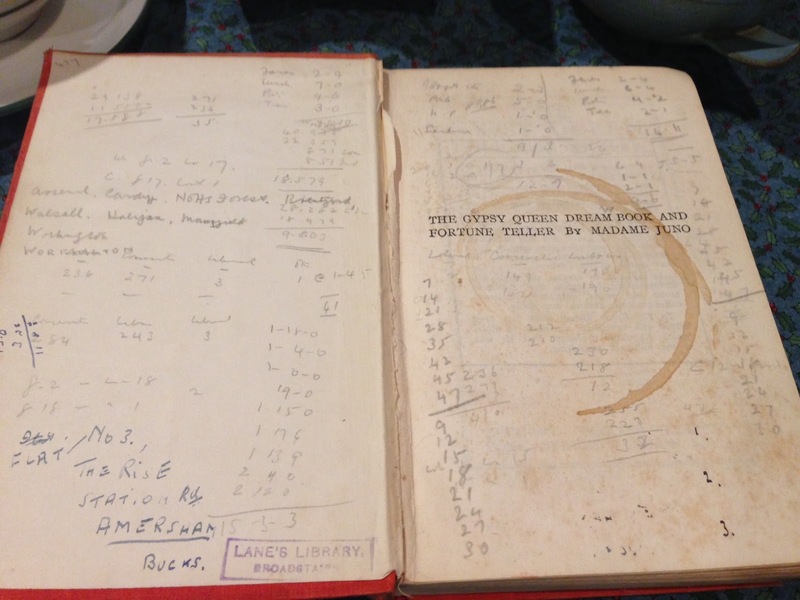 Not only that, but the opening pages are covered with pencilled figures, some apparently of sums of money. I wonder whether these could be the record of the receipt of palm-crossing silver from grateful clients? On the title page, however, are different totals,under the names of the main political parties, presumably either actual or forecast General Election results. One of the figures, 277 seats for Labour, is exact to the 1955 contest, and the few seats for the Liberals is also suggestive of the 1950s. 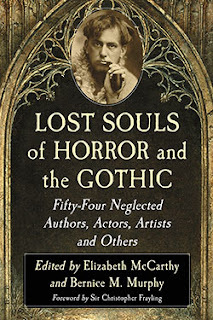 The book also bears the purple oblong stamp mark of Lane’s Library, Broadstairs and a, perhaps later, personal address in manuscript: Flat No 3, The Rise, Station Road, Amersham, Bucks, the town (incidentally) to which Arthur Machen retired. Jenkins also published a book wholly on the subject, Telling Fortunes by Tea-Leaves, Cecily Kent’s New Method of Divination Clearly Explained (1921), a 172pp treatise. My copy also has, on its olive-green back cover, the marks of numerous tea cups rested upon it, which again it may not be fanciful to suppose was in the pursuit of the trade. The author also offered Telling Fortunes By Cards in the same year. It may be as well to say at this point something of the contents of this and the similar books described. They usually consist of two parts: firstly, a description of the practical apparatus and modus operandi for achieving the tea leaves, and secondly a catalogue of the meaning of various shapes and symbols. Some include diagrams of what to the untrained eye look largely like dark blotches, but in which apparently may be discerned certain forms. Among those noted in Madame Kent’s book are a log, a loaf of bread, duck, sign post, leaves, boots, toadstool, doll, broken gate and the head of a polar bear. A rare item in the tea cup reading sphere is a privately published pamphlet by one Winnicott Edmonds, issued in Liverpool by the author in 1922. I have not been able to trace either this tantalising piece of ephemera or any information about its originator, but it suggests the possibility that similar local opuscules were issued in other provincial towns and cities. Another example is a slim anonymous work, Tea-Cup Reading, published in Christchurch by Whitcomb & Tombs, circa 1942. 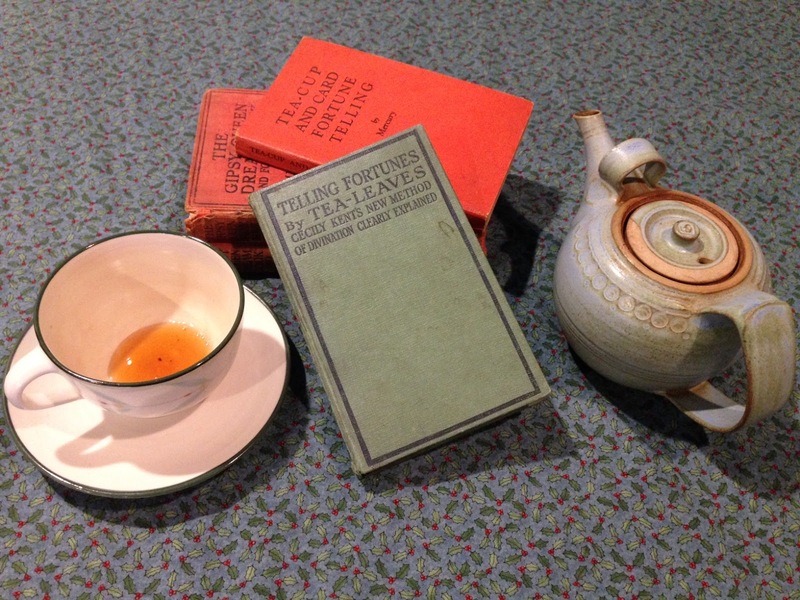 It was not uncommon for publications to offer a range of divinatory devices, and Foulsham combined two of the most popular in a neat terracotta pocket book entitled Tea-Cup And Card Fortune Telling, by ‘Mercury’ (1937), while ‘Sagittarius’ provided a little handbook, The fortune teller's guide : including tea-cup readings, an alphabet of dreams, horoscopes, lucky dates, palmistry, handwriting explained, reading faces, the luck of weddings etc. from Featherstone Press, circa 1945. It seems likely that there remain quite a number of pamphlets in this and allied crafts that have so far eluded catalogues and collections. For those who think, as I do, that wear and tear in a book often provides additional interest, there is also the thrill of finding books that bear all the suggestion of vigorous use. It is hard to resist the notion that they may be, as it were, infused with the strains of mystic portent. [Anon]. Tea-Cup Reading: Your fate in your tea-cup. .
Ward, James. Dreams & Omens and Tea-cup Fortune-telling. Wonderful examples and scientific explanations, with ancient & modern interpretations. London : Newspaper Publicity Co., 1915. ‘A Highland Seer’. The Art of Fortune-Telling by Tea-Leaves. ‘Minetta’. Tea Cup Fortune Telling: the signs illustrated and fully explained. Introduction by Sephariel. London: W. Foulsham & Co. 1920. 93pp. Octavo. Expanded edition, 153pp, 1925. [Anon}. The Gypsy Queen Dream Book and Fortune Teller. By Madame Juno. 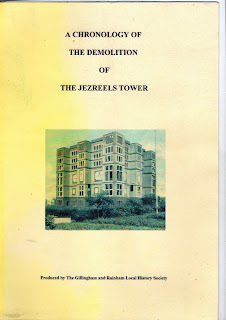 London : Herbert Jenkins, . Kent, Cecily. Fortune Telling by Tea Leaves, etc. London : Herbert Jenkins, 1921. 172pp. Octavo. Edmonds, Winnicott. Reading the Tea-cup. London : Skeffington & Son. Third edition. . 63pp. Octavo. [Anon]. Foulsham’s Tea Cup Fortune Teller. London: W. Foulsham & Co. 1923. 29pp. Octavo. ‘Mercury’. Tea-Cup & Card Fortune Telling.... Illustrated. London : W. Foulsham & Co., 1937. 90pp. Octavo. Christchurch: Whitcomb & Tombs. . 71pp. ‘Sagittarius’. The fortune teller's guide : including tea-cup readings, an alphabet of dreams, horoscopes, lucky dates, palmistry, handwriting explained, reading faces, the luck of weddings etc. London : Featherstone Press . 71pp. ‘Minetta’. The Art of Tea-Cup Fortune Telling. Alphabetically arranged. London: W. Foulsham & Co. 1958. 155pp. Octavo. © Mark Valentine, 2016. Photographs: © Jo Valentine, 2016. When I first caught sight of the book, I at first mis-read the title as Eccentric Parsonages. 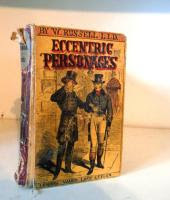 That might have been even more interesting, but Eccentric Personages (1865) by William Russell, LL.D, in its old crimson leather with faded gold ornaments, was still enticing enough. I suppose there are about twenty subjects and some of them are still well-known today – the magician Cagliostro; the transvestite Chevalier d’Eon; the doughty traveller in the Levant, Lady Hester Stanhope. Others are from the 18th century’s bright cavalcade of bucks and rakes and dandies, with their amusing (or otherwise) foibles and antics. The author has a sceptical and worldly tone, but his manner softens somewhat when he comes to tell of a figure perhaps otherwise lost to us, so far as I can see. He calls her “The Lady-Witch”. Her name was Helen Royston and she lived near the now unromantic town of Doncaster, in southern Yorkshire, in the late 17th century. She was the daughter of a Cromwellian trooper, Valiant-for-Truth Royston - a name which rather makes one wonder how his friends addressed him - but did not follow in her father’s puritanical zeal: rather, she acquired the reputation of a sorceress. W. Russell, LL.D., airily says that her wonders were too many for him to relate: which is a great pity, for it is likely these cannot now be recovered. I have not seen her story before and it is not in the usual folk-lore compendiums. Her beauty, it seems, captured first the younger, then the elder, son of the local squire, who was averse to any such match: and the younger son pined away in consequence. She was thought to take the form of a swan, a well-known European folk-lore motif, but not particularly found in England; this may be the most striking example of the myth here. The practical Mr Russell explains how it came about. He says she liked to repair to a hidden bower by a lakeside at evening and there sing to herself. The credulous rustics, hearing a lady’s voice, but seeing only swans, made a pardonable inference and supposed that she had been transformed. And their suspicions were confirmed – here is another popular folk motif – when a hunter maimed a swan, which, though winged, flew away: the lady was not then seen for some weeks afterwards; and she was presumed to be tending her wounds. That swans are indeed said to sing at evening, but only when pining for their mate, adds another curious dimension to the tale. All ends well, for the lady does indeed marry the squire’s eldest son, and an enquiry by local magistrates into her reputed witchery is discreetly put aside. The local rural folk suppose that the marriage will mean an end to her spells and wonder-workings, but Mr Russell is slyly not so sure and implies it was not so. The author is described somewhat vaguely by the British Library as a “miscellaneous writer”. In fact, he seems to have specialised in biographies of the peculiar. His other books include, as well as some romances, Extraordinary Women (1857) and Extraordinary Men (1864), and a series presented as "real life" stories, including Leaves from the Diary of a Law Clerk (1862) and Leaves from the Journal of a Custom-House Officer (1868), Charles Oldfield, the autobiography of a staff officer (1871) and Military Life, tales (1871). However, his most successful title appears to have been his Recollections of a Detective Police-Officer (1856), under the pen-name of “Waters”, reprinted by the Covent Garden Press in 1972. These were sketches that had first appeared in Chambers’ Journal, Edinburgh, and must be among the earliest detective stories. They have the leisured and rather mannered tone of their time, and the investigatory element is often fairly rudimentary, but the stories are still quite vividly done and suggest a versatile imagination. One, ‘The Monomaniac’, has a macabre aspect. Henry Renshawe, a gentlemanly but reclusive lodging-house-keeper has in his room the portrait of a mournful young woman, inscribed ‘Laura Hargreaves, born 1804; drowned 1821.’ He becomes obsessed by the idea that she has returned in the form of the wife of a lodger of his, an embroiderer of fine gold lace for epaulettes and similar, whom she in some ways resembles. This almost leads to a further tragedy, and the story includes one or two distinctly Gothic touches: there is something of the theme and plot of Rodenbach's rather later melancholy novel Bruges-la-Morte (1892). It is tempting, also, to link the story to that of the Swan Lady and infer some particular fascination on the part of the author for images of young women and still water, perhaps inspired by Millais' painting Ophelia, renowned around this time. In his introduction to the 1963 edition of All Night at Mr Stanyhurst’s (which appeared with his name considerably larger than the author’s) Fleming says: “An essential item in my ‘Desert Island’ library would be the Times Literary Supplement, dropped to me each Friday by a well-trained albatross.” As I have remarked elsewhere, the usual image of Ian Fleming in an evening suit, with smoke spiralling from a cigarette in an elegant holder, doesn’t quite suggest a furtive forager amongst old tomes. But in fact he was a keen bibliophile, and both founded and largely funded the journal The Book Collector. The title of Hugh Edwards’ book refers to the telling of a story all through one stormy night to the genteel dandy of the title, in the company of his pert young ward and a worldly priest. The tale is told by a sailor, one of the few survivors from a shipwreck off the coast of East Africa. He describes how the few who made it to the shore were then faced with a gruelling trek through inhospitable country to the nearest habitation. The novel is indeed highly distinctive, and has both a strange atmosphere and a supernatural element. The disaster, we learn, could have been caused by the malefic influence of a plundered Indian treasure amongst its cargo: The Canopy of Heaven, a jewelled cloth set about with many legends. However, it is not so much the plot that makes the book so accomplished, as the author's style: elegant, assured, steeped in its period and setting, rich in nuances. It is an original and unusual work. The nearest comparison I can make is to Robert Nichols’ Under the Yew (1928), also about an 18th century rake, or to E.H. Visiak’s romance of sea-witchery, Medusa (1929), but these are only very distant cousins. The Edwards book is spicier and has a few lightly sensuous passages which probably appealed to Fleming. There is also something of the tone, as well as the historical verisimilitude, of the Patrick O’Brian naval books. 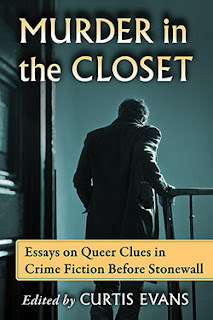 In his introduction, Fleming quotes the critic James Agate’s praise for the book: “I will maintain that here is probably a little masterpiece and certainly a tour de force. So far as my reading goes, it is the best long story or short novel since Conrad.” Agate sent a copy of the book to Max Beerbohm, who replied that he had read it twice with the liveliest pleasure. The book, says Fleming, had “rave reviews” on publication, but despite that, Cape told him, it took four years to exhaust the edition of fifteen hundred copies. A second edition in the ‘New Library’ series took seven years to sell a further three thousand copies. In fact, this is not at all a bad record for an unknown author with an unusual book – contrast it with the fate of David Lindsay’s books, for example. But one can see that to the bestselling Fleming, it must have looked like much less than the book’s due. Hugh Edwards was the author of four other books, Sangoree (1932), Crack of Doom (1934), Helen Between Cupids (1935) and Macaroni (1938), all from Cape except the last, which was published by Geoffrey Bles. 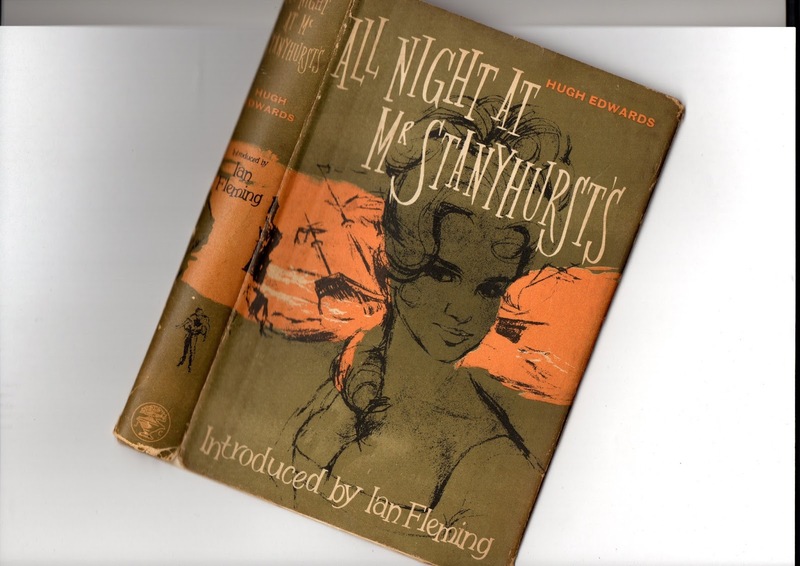 All Night at Mr Stanyhurst’s was also turned into a radio play by a friend of the author, Commander E.J. King-Bull (a name you could scarcely make up with plausibility) and broadcast on the cultural BBC Third Programme on 14 March 1954, with three repeats that year. In the “tiny fisherman’s cottage…he lived the life of an eighteenth-century recluse, confining himself to one attic in which there was nothing but a large bed and hundreds of books.” There “he lived the remote life of his imagination for many years, reading, writing and composing albums of illustrated nonsense rhymes for the numerous nephews and nieces and cousins who came to stay.” There was also an unfinished, perhaps lost, autobiography.